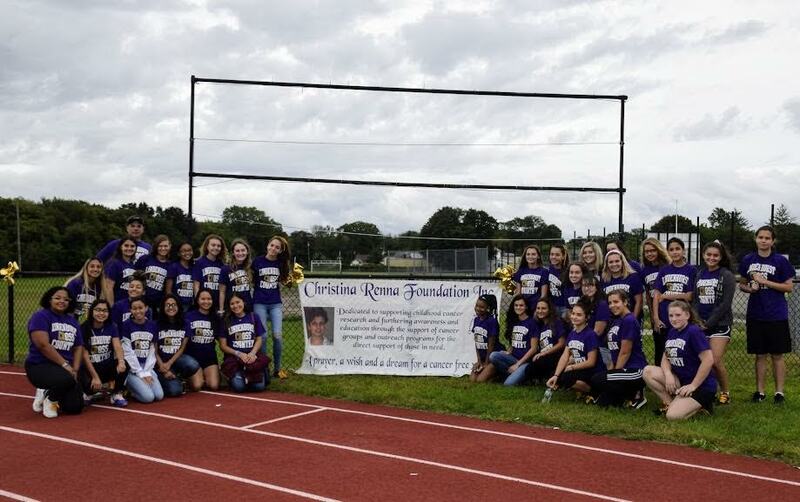 On Sept. 23, Lindenhurst Union Free School District athletic teams, coaches, administrators and community members, along with local and state politicians, joined members of the Renna family at the 12th annual Christina Renna Foundation Walk-A-Thon and Blood Drive held at Lindenhurst Middle School. Christina, a former student of the Lindenhurst School District, was diagnosed with rhabdomyosarcoma, a rare form of cancer, and passed away in 2007. The walk supports the Christina Renna Foundation goal of “supporting children’s cancer research and increasing the levels of awareness and education through the support of cancer groups and outreach programs for the direct support of those in need,” as stated on the website, www.crf4acure.org. All money raised will benefit children’s cancer research at Cold Spring Harbor Laboratory. Photo caption: Several Lindenhurst athletic teams and coaches, administrators, community members along with local and state politicians joined the members of the Renna family and walked the track of the Lindenhurst Middle School during the 12th annual Christina Renna Foundation Walk-a-Thon and Blood Drive. Pictured is the Lindenhurst High School Girls Varsity Cross Country Team.